Grafix Wall Art works closely with many schools across New Zealand every day to deliver cost-effective, great looking graphic solutions that will appeal to students and staff alike. The company’s work with two primary schools – Howick Primary and Kaikohe East – make excellent case studies. While each school wanted its commissioned artwork to express quite different visual and communication ideas, they had one thing in common – very limited finances to get the job done. Let’s see how Grafix Wall Art met these schools’ creative briefs within a tight budget. 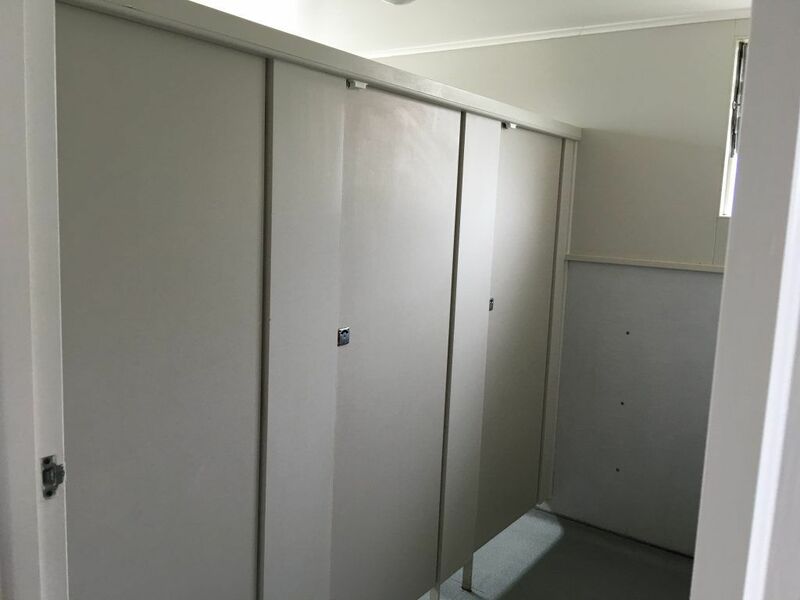 Some of the new entrants at Howick Primary in Auckland were reluctant to use the toilet block. Hardly surprising – the beige walls, cold floors and uniform cubicle doors were a far cry from the cosy family bathroom the average 5-year-old had been familiar with up until he or she started school. 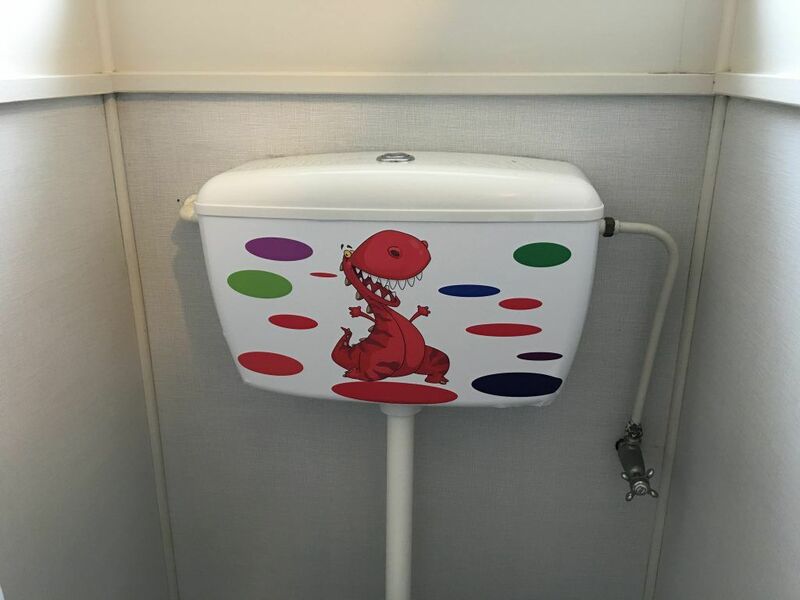 Keeping this in mind, the school wanted to do something to brighten the bathrooms up and make them more user friendly for the kids – however, they only had a $500 budget for the entire project, which included decorating both the girls’ and the boys’ toilet blocks. 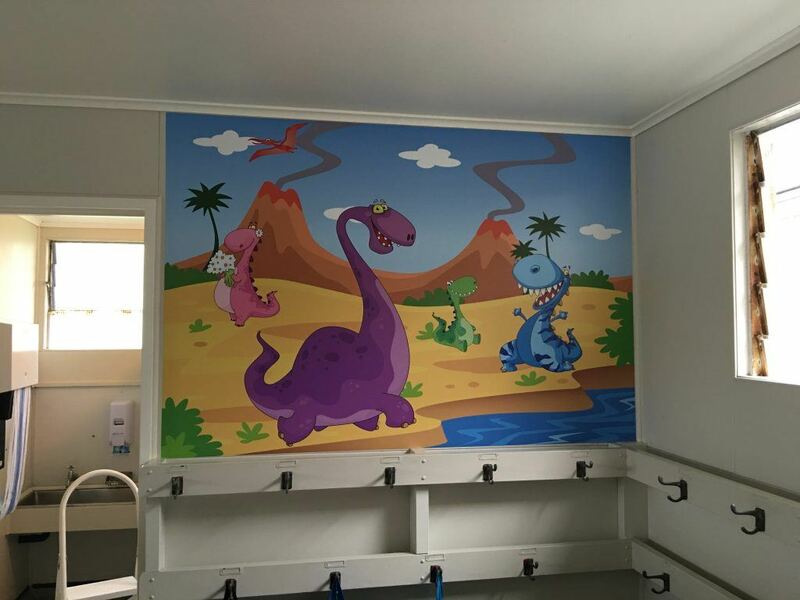 The school contacted Christine Petty at Grafix Wall Art for an affordable solution. Taking her cue from the marine-themed toilet seats the school had bought for the girls’ toilets, Christine set about creating an underwater scene, first of all emailing pictures she thought would work through to staff at Howick Primary for approval. 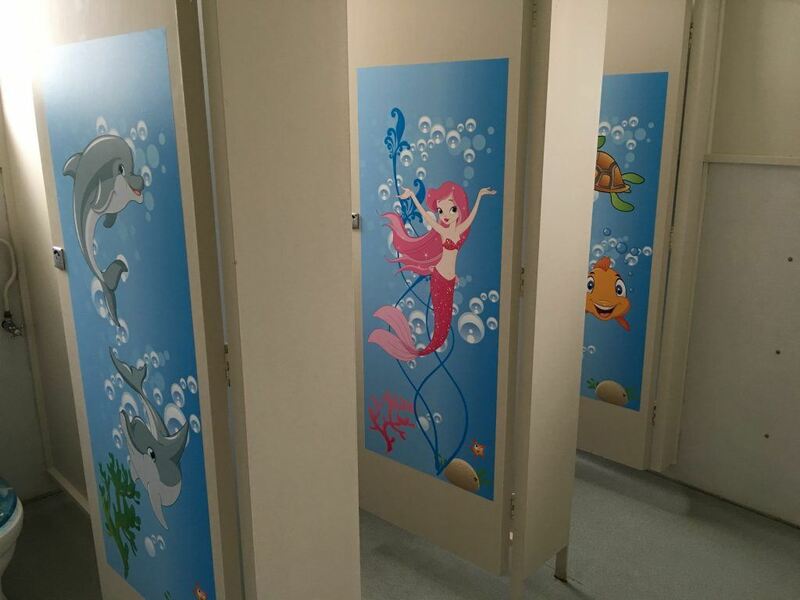 She then used their approved images to create cut vinyl decals of brightly coloured mermaids and cute, friendly fish which she then installed on the three cubicle doors. 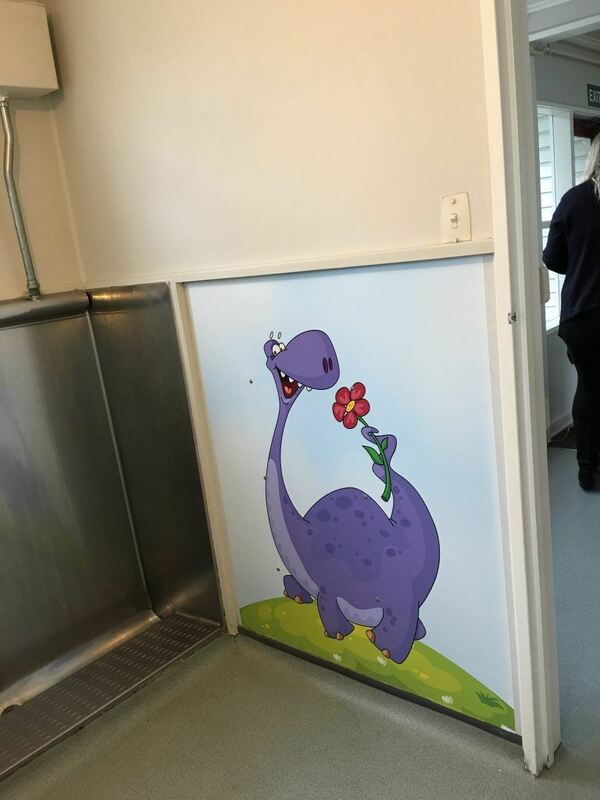 Over in the boys’ bathroom, dinosaurs now roam the walls above the urinal and decals have also been used to add colour and warmth to the area where the children hang their bags. Deputy principal & special needs coordinator, Leeanne Hurley says the school is thrilled with the results. Kaikohe East school in the Far North has a roll of about 400 pupils and a special needs educator called Kaz Chamberlain who is passionate about promoting the school’s vision and values. Initially, Kaz contacted Christine at Grafix Wall Art to create a 1 metre x by 600 millometre canvas to convey the school’s mission statement. 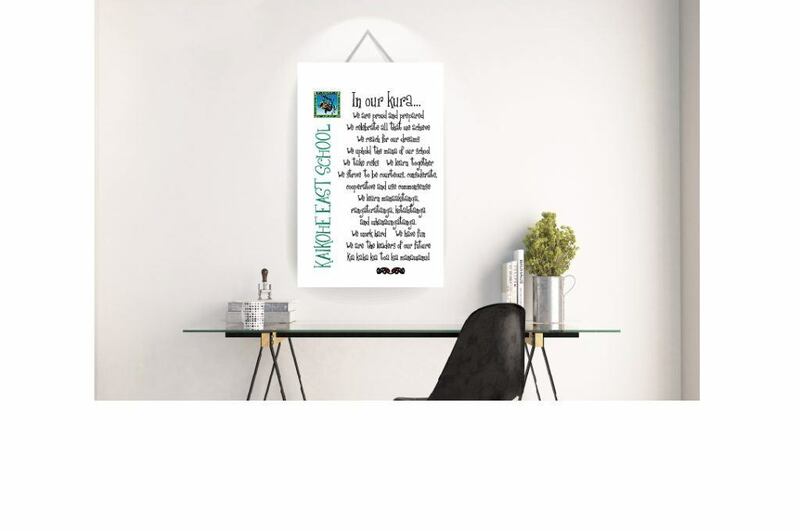 However, after receiving her $65 custom artwork – “I was so excited to get it and thought it looked great!’’ – Kaz decided to order more of the same. In fact, she wanted one for every classroom.